Down near the bottom of Manchester’s Market Street, deep in the midst of the hustle and the bustle of our urban sprawl, there is a garden. Well, in fact, there isn’t. But there is a tranquil restaurant that resembles a garden as best it can. 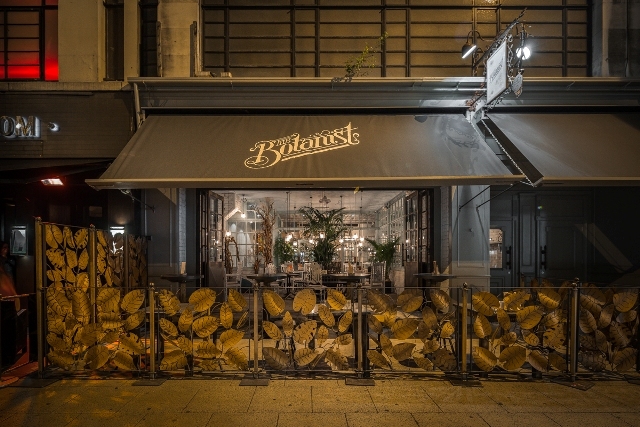 The Botanist is the latest edition to restaurateur Tim Bacon’s ever-expanding Living Ventures empire. This plot on Deansgate isn’t new to Tim Bacon. Romantics might assume that this is a sentimental project as it’s on the exact same site where Bacon first put down his restaurant roots in Manchester when he co-owned JW Johnson’s. Likewise, The Botanist is not-so-new. There are already three of these garden-themed eateries around: one in Alderley Edge, one in Leeds, and one in Chester. If you’ve been to any of the other branches, there will be few surprises. It looks a little like a garden-shed which has had its surrounding garden grown through it, all with an ethereal touch: pastoral green paint cracks off creaky wooden boards and beams; trowels, spades and watering cans watch you eat from the exposed brick alcoves; twisted, spindly trees wind their way through the restaurant; and from my seat I can see the kitchen at work through a faded wrought-iron gate. The food follows this trodden path. A little wheelbarrow of sweet apple sauce accompanies the starter of pork crackling. These come as easy-to-share, crisp crackling chunks with a salt and pepper bite. Also praise-worthy is another comforting staple – the Scotch egg. Served with smooth piccalilli that packs a punch, the egg is not over-cooked and the outer-layer is satisfyingly crisp. The menu appeals to the British sense of comfort; it’s not daring because it’s basically pub food, but with a few stray flourishes. This is a menu that won’t sting your pocket. All the mains are under £15. And they are decent. On a table enjoying a burger, ½ a rotisserie chicken and a steak and ale pie, everyone is satisfied. There is almost too much to finish and I am loathe to leave a corner of the pie’s golden crusty pastry, but not before I have dug out the remains of its rich, peppery innards. The slightly sticky mash pairing the pie also finishes its life on the compost heap. The Botanist is big on beers. This is a welcome deviation from the usual Living Ventures cocktail frenzy. Lying in wait at the table is an entire almanac of beers and ciders, and planted next to the description of each beer in this quirky little book is an engrossingly whimsical illustration of its bottle. When the waitress arrives, I am reluctant to place an order; the sheer quantity of options on offer making it hard to choose. So our waitress recommends a flavoursome bottle of pale ale called Proper Job, apparently a house-favourite. Like most of the Living Ventures restaurants, here the bar is integral with the menu for drinks having far outgrown the one for food. In addition to the almanac is the cocktail menu which features lots of colourful concoctions, mostly involving some kind of herb. 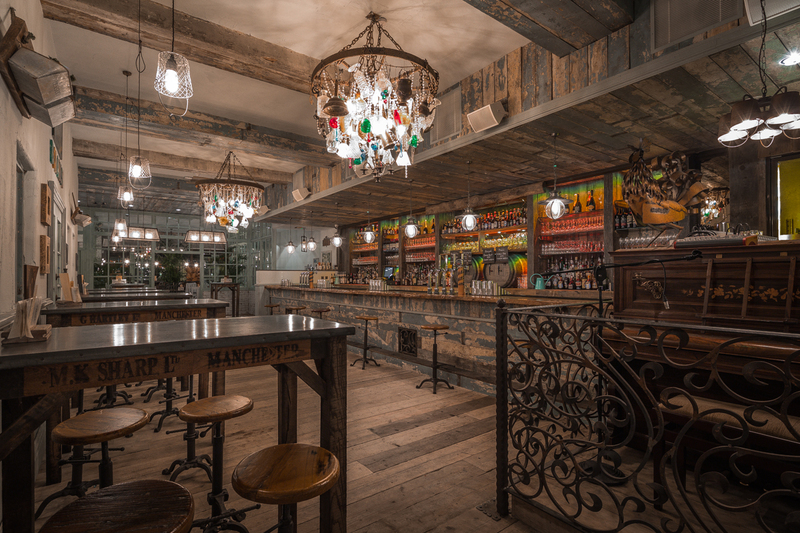 The spacious bar area suggests that The Botanist is well prepared to be another of Deansgate’s many watering holes. But it is not until my eye falls on the ‘Watering Can’ sharing cocktails that a thought takes root: this place will be busy at the weekends. For those looking for a cosy, wholesome grub experience, and a possible Sunday roast, this eatery provides it in spades. 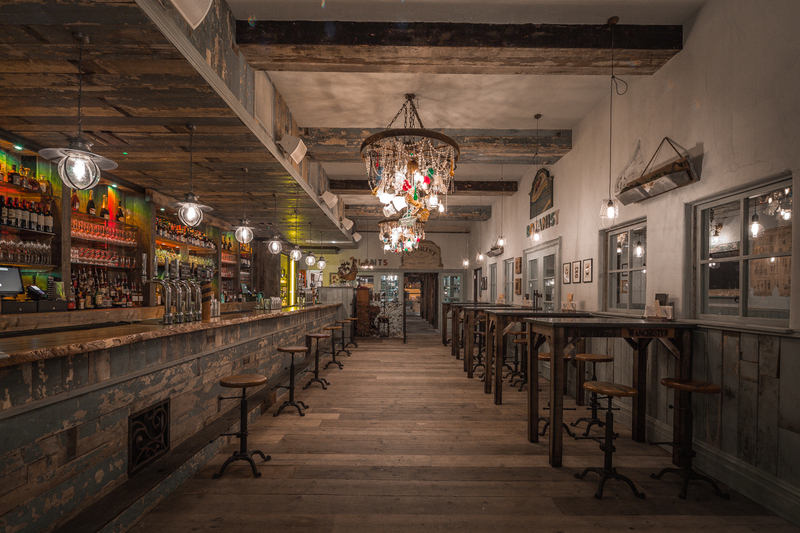 Likewise, it is certainly able to provide the other end of the dining experience – booze heavy and a little wild. So it’ll be either garden tea party or secret garden party. Which one you get will probably depend on your arrival time.